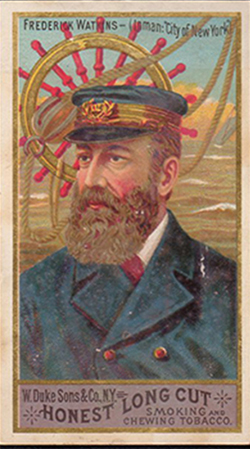 Duke released this series of 25 large cards featuring famous Sea Captains around 1887. 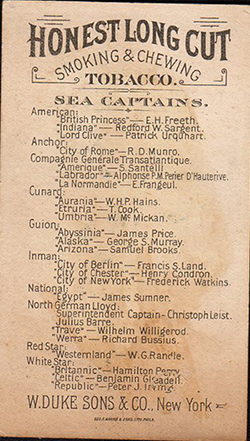 These cards were included with W. Duke Sons & Co. Honest Long Cut tobacco and show the Sea Captain along with the shipping company and the vessel's name. The backs include a checklist for the cards. These large cards measure 2-7/16" X 4-1/4". Harris & Sons did the lithography for these cards.